Sometimes during the free teleconference, the Goddess of Creation will give us messages that I think need to be shared separately. This past Sunday she gave us so much information, love, and support that I wanted to speak more about what the experience. We as a planet have been moving through an ascension process that is affecting all aspects of life. Ascension means that the consciousness is rising; ascending. This process has been going on for a couple thousand years however we are speaking in this blog about the changes of the last fifteen to twenty years. I have spoken for several years about living in the fifth dimension and many people say ‘okay, but what does that mean’? The problem is that you cannot define it in the ways we have defined our lives. In this channel, the Goddess speaks of the vibration of a higher dimension which has a particular frequency. When you tune into the frequency of the higher dimension you are suddenly open to things that are new to you. Consider something in your life that was a learning process; perhaps a school or a hobby or a relationship. When you first began you were excited and anticipated new and different experiences, however, there were things you didn’t know because you had not learned. Jump forward a few years or even a year and you realize that you actually know so much more. When you stand at the beginning of the process you really can’t comprehend what you don’t know; this is the ascension process. The collective consciousness of the earth is transforming all the time in part through clearing the vibration and frequencies of old beliefs, emotions and many of the energies affect our unconscious. How many times have you felt really good, then you were around someone not feeling so good and your energy plummeted to match theirs? I’m pretty sure that has happened to everyone at one time or another. The Goddess speaks in this excerpt about this issue and how once we pay attention to what is happening we can disconnect and therefore not be pulled down. I work with a lot of people who get stuck like this and in fact, so do I from time to time. Ascension doesn’t mean you never get pulled in; it means you stay there for less time and you are aware of when it is happening. Once you become accustomed to feeling good it is quite evident when you are pulled out of alignment. Ways to disconnect: When you disconnect from situations where you don’t feel good or you don’t agree with someone you are disconnecting from the energy they emanate. There are several ways that people disconnect from others or certain energies. You can literally wipe your hand down the front of you as if it’s a knife cutting any cords that are attached to you. Another option is to take a step back; literally or not, while taking in a deep breath. As you breathe out, consciously let go of the energy of the other person or situation. If you are continuously around someone who is very negative, you can envision your energy as Teflon or a boat – whatever comes towards you slips off or past you. Then, of course, there is always intention. In truth, intention is the foundation for everything! If you intend that you won’t be affected by others; then you won’t. (There’s always a chance that you’ll have the exception to this, however, the majority of the time it is a non-issue). 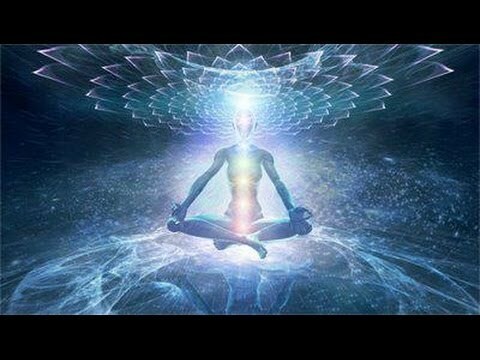 Once you disconnect you can come back around to the person or situation and now your bring with you the balanced energy of the higher dimension. This is how we are transforming the world. When you commiserate with someone you are only adding fuel to the low vibration. You can feel compassion, express love and support because they are in pain; in this way, you give them the gift of moving on. Through free will sometimes people will, sometimes they won’t. It remains that other person’s choice. Gifts you may have: The Goddess also spoke about how people wish they were more sensitive. I too hear this when we are doing energy work. Just as I mentioned before, when you are in the midst of transition or just beginning, you are not always aware of what is taking place. Across the board, people are more sensitive than they have been in the past. Everyone is born with the potential for all their senses to be open and flowing. In your sleep state, you are working with the angels and light beings to transition your energies. Here is when you are open and free. This energy is in the vibration of your higher self and available to you, it is also floating around in your nonphysical energies. Chances are you are receiving messages, picking up on signs, opening to various potentials without even realizing you are doing so. As a human, you want it to look a particular way and when it does not, you think it is not working. As the Goddess spoke of this, I could feel this wave of love and potential flow through everyone. Below is the video I invite you to check out and in the days and weeks to come pay attention to how you feel in certain situations. Pay attention to when you might be pulled down. Pay attention to any tingles, or sparkles or insights that may come your way. When you receive things consciously more and more will come your way. If you would like a private session to work on this I invite you to schedule a session! !